If you have had surgery for a broken wrist after a fall or sports injury, you will want to get back to your lifestyle as quickly as possible. However, the recovery process takes time and there are some things you should avoid while your broken bones are healing. Your doctor will give you specific instructions, but these are some general tips about what to steer clear of following wrist surgery. Immediately after surgery you will need somebody to drive you home because you will likely be on pain medication. The same is true for a few days after surgery if you continue to take prescription medication to relieve pain and swelling. As you continue to recover, your ability to drive will depend on the extent of your injury, the type of cast you have, and the type of car you drive. For example, if your car has a standard transmission and requires the use of a clutch, you might not have the ability to shift gears until your wrist has healed and the cast has been removed. You probably don’t think much about how often you use your wrists on a daily basis, but after broken wrist surgery you’ll realize that there are a lot of everyday activities that are now difficult or impossible. Prepare for wrist surgery recovery and avoid cooking by making meals in advance or asking a family member or friend to cook for you while you recover. While it might be tempting and convenient to order takeout meals, be conscious of your nutrient intake while you recover. Your body needs a balance of vitamins and minerals to repair broken bones, so do your best to make healthy food choices during the healing process. Although you can safely shower and bathe after broken wrist surgery, it’s important to keep any incisions and bandages dry. Wrap your cast in plastic before showering and be careful not to submerge your arm in water while in the bath tub. You’ll probably need to do this for about a week or two, depending on when bandages are removed. If you have a cast for several weeks, it is also important to keep it dry. Moving your arm a lot will increase blood flow to the injured area, which will contribute to unwanted swelling during the recovery process. Rest as much as possible and keep your arm elevated when you can. Applying ice will also help reduce pain and swelling. Because the incision and bandages must stay dry, it’s a good idea to use a cold therapy system such as the Game Ready System so you don’t risk water from melting ice getting the dressings wet. While it is important to get ample rest in the week or two after broken wrist surgery, remaining sedentary for the entire recovery process is not a good idea. Do lower body and core exercises and low-impact cardio with a stationary bicycle to maintain your fitness level. When your doctor recommends it, work with a physical therapist to learn wrist exercises that will strengthen the muscles around the joint and allow you to regain normal range of motion. 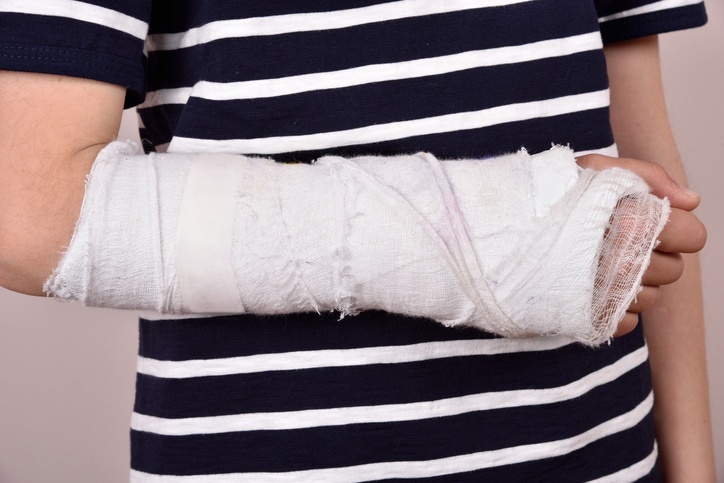 With approximately a quarter of a million fractures every year, broken wrist surgery is a common procedure with a high success rate. In addition to avoiding the above listed activities, one key to a successful recovery is controlling inflammation after surgery. Ask your doctor about using a cold therapy system like Game Ready to help you recover as quickly as possible.